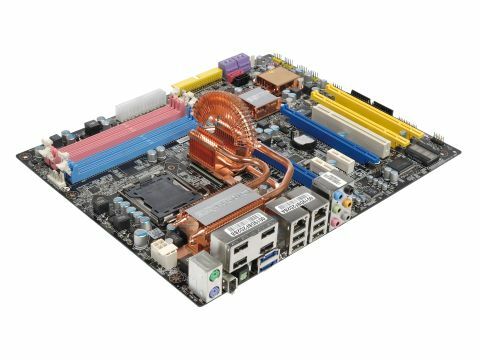 The sad truth is that there's really no need to spend nearly £200 on a motherboard. Especially when the RAM to drive it is going to be double that. But bless MSI for trying all the same. As you'd expect, this is a highly specced board and even comes with a free X-Fi card. We're marking it down, though, because some of the claims in the literature really annoy us. There's a magic 'Dual Core Cell' on board which essentially cleans up the electrical signals and theoretically provides a bit of extra stability. What it does not, and cannot, do is make '3D graphics enhanced with more realistic, vivid and accurate quality'. Bad form, MSI. What really kills the board for us, though, is that despite the extra ASIC, this board on test was unstable, even at stock speeds.